Moving at an age where one’s physical capabilities are diminishing is an even larger and more stressful challenge than moving is normally. Many seniors decide to leave their longtime homes in a house or an apartment for life in an assisted living facility, where they can receive additional attention to live out their final years with the care they need. Others decide to downsize into smaller homes to simplify their lives in years where unnecessary complexities can become large annoyances. Whichever choice a senior mover makes, making informed decisions during the relocation process is even more important than it is during the relocation process of a younger person. 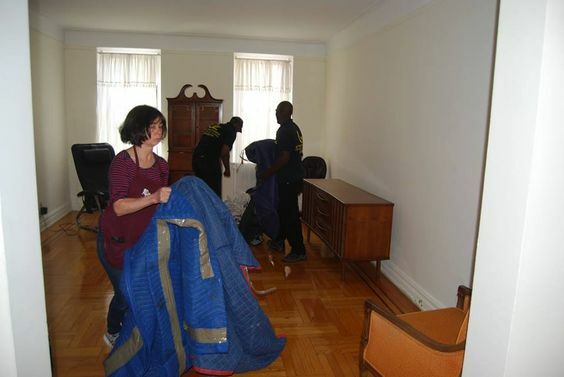 Oz Moving & Storage has partnered with Caring Transitions NYC for many senior moves. Caring Transitions as a national organization specializes in helping seniors and their loved ones manage the stresses and logistics of moving that they themselves may not be fit to handle. Caring Transitions were happy to provide us with some of their advice on the difficult process of senior moving. “As the need for change draws closer, older adults are less inclined to talk about it” says Adele Lund of Laureate Group, a senior organization that has also partnered with Caring Transitions. It is important to make sure seniors and their loved ones do not fall into this trap. As time elapses and the date where relocation is necessary draws nearer, seniors become worried that they may be forced to make a decision against their will, or they may grow mentally unfit to make a decision that best serves their own interests. The earlier loved ones and seniors discuss the preferred relocation for them, the better they can prepare for the challenges of that relocation and find a landing spot that best serves everyone’s interests, especially the moving seniors. Caring Transitions treats their moving seniors like corporate “relo” clients. 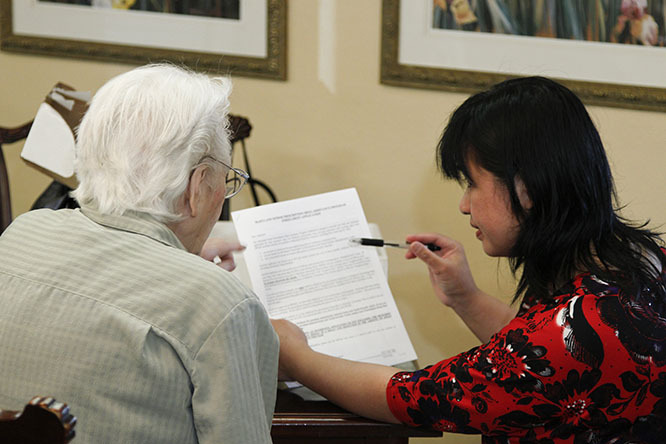 “They provide resources, information and services begins well before moving day”, including “logistical arrangements”, “education for the client and their families” and “assessment of client goals and preferences.” These plans of course must be tailored to accommodate to the specific needs of the relocating senior. Timing is key and has to make sense for all parties, including loved ones that may be assisting with the move and their families. Caring Transitions provides senior clients with color-coded floor plans, which are incredibly useful for organizing and allow all parties to realize what must be removed. Having an organized inventory allows for third parties to much more easily complete their tasks when they are dealing with unfamiliar items - this is key when moving with seniors, since they are incapable of completing the moves themselves. Lastly, have a place for the senior to be on the day of the move; they could spend some time at their new assisted living facility, or take some time to escape the stressful moving process out of the house. Mobility becomes a problem for seniors as they age. This is a large part of the reason many transition into much smaller spaces when they get older, which leaves less room for all the clutter they have. So often in these cases, “less is more”, and seniors should be encouraged to get rid of whatever they can. There are several effective ways to turn useless junk into something good; certain items can be donated to charity, handed down to loved ones, sold in bulk at an estate sale or a garage sale, or sold individually online for a decent monetary return. High maintenance moves like senior moves have much less room for error, so picking the right mover is all the more important. Walter-Ginzburg has chosen Oz Moving & Storage for her clients’ moves for years, because of Oz’s ‘dependability’, ‘reliability’ and ‘punctuality.’ “It comes down to a mover that is honest, that can help us Quarterback the move” she says. A mover with a good online reputation that completes all their dealings in industry standard fashion should be trustworthy for your move, but do not hesitate to get a second opinion from another mover if you sense any shadiness may be afoot. Oz recommends that seniors receive their moving quotes in the form of on-site appointments; this allows the inventory to be evaluated comprehensively to ensure there are no surprises on the day of the move. When you get a quote, anything significantly adding upon the price of the move can be purged to simultaneously help lower the cost of the move and make even more room in their new space. Those who move with Oz and receive an on-site estimate can also lock in a “guaranteed price” to ensure they do not end up paying far more than their quote would indicate - other movers offer these rates as well. Seniors in the process of relocation are often afraid of what comes next. They may be worried that they will have people making decisions for them they don’t want to make. It can be hard for seniors to raise their voice (literally and figuratively) during the relocation process. If you are helping with a senior move, make an effort to gather their input during the packing, downsizing and moving process. Thanks to Adrian Walter-Ginzburg, PhD, President and CEO of Caring Transitions of NYC for helping with this post! For more information on how Caring Transitions can help you with estate sales, downsizing and relocation, visit their website.